The Robin Hood that we read about in grade school was dashing, well-spoken, and even a bit graceful. Kevin Costner, however, has always conveyed a yokel-gone-mainstream vibe. An English nobleman he’s not, a sentiment that echoes throughout the otherwise acceptable Robin Hood: Prince Of Thieves even when we revisit today (especially when we hear his half-assed English accent). 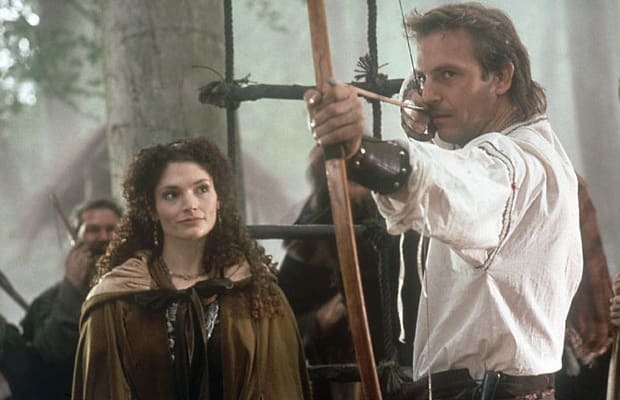 Under Costner’s jurisdiction, Robin Hood moves and acts like a good-old country boy wearing customary tights in order to knock boots with English prize Maid Marian.